Texas Homeland Title is a policy issuing title agent of Lawyers Title Insurance Corporation, part of the Fidelity National Financial family (NYSE: FNF), which is the largest title insurance company in the world. 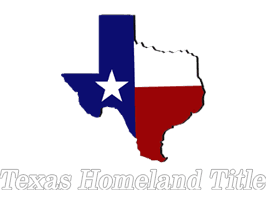 Texas Homeland Title is based in Conroe, Texas, the county seat of Montgomery County, just 40 miles north of downtown Houston. Montgomery County is home to beautiful Lake Conroe, the cities of Conroe, Montgomery and Magnolia, among others, and the United States' number one master-planned community, The Woodlands. We are committed to our company motto, Closings Made Convenient, and will do everything we can to make your next real estate closing the most pleasant you've ever experienced!